This seventeenth-century illustration of the Ospedale della Pieta' from the Correr Museum in Venice shows the building as it probably looked in 1715. This is the Ospedale that Isabella and her friends would have known. The marker on the map above shows the location in Venice of the site of the Ospedale della Pieta'. The ospedale comprised several buildings in its history. Today the Metropole Hotel occupies the part of the ospedale that contained the music room. Across the lane is a small museum that exhibits some of the items from the Pieta's history. 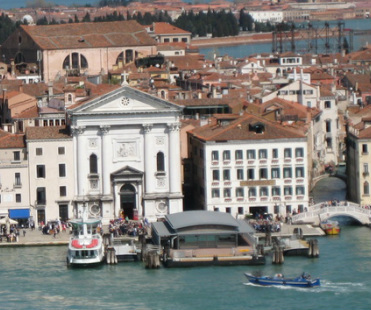 The church on the left, The Church of Santa Maria Della Pieta', is known today as Vivaldi's Church, but it wasn't completed until long after Vivaldi's death. The building to the right of the church is The Metropole Hotel. What was the Ospedale della Pieta'? It was a charitable institution that was established in the fourteenth century by a Franciscan priest to house and care for children that had been orphaned or abandoned. Children whose families were victims of plague, famine, or other misfortune were sheltered in the Pieta', as were many illegitimate children. 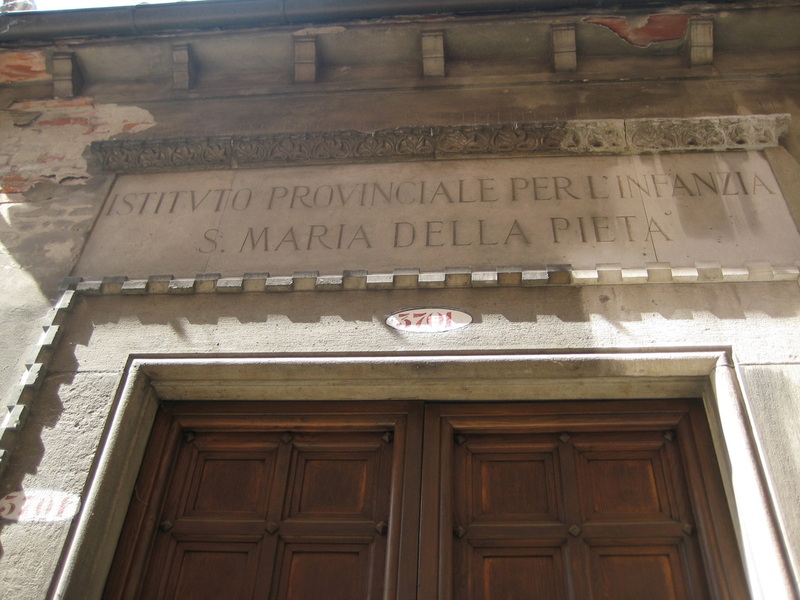 Both boys and girls lived in the Pieta', but were kept distinctly apart in different buildings. With growing numbers of children to feed, the Pieta' was always seeking contributions from wealthy patrons. 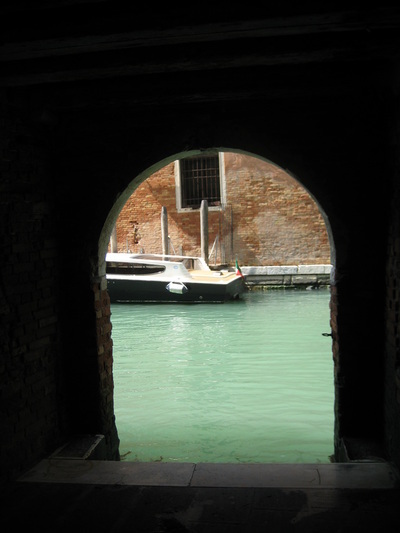 In the seventeenth century, it found a remarkable way to increase donations: a "choir" of girls, instrumentalists and vocalists, would perform for liturgical celebrations in this very Catholic environment, and people in Venice developed an interest in coming to see these girls. Girls were tested for musical aptitude when they were nine or so, and those who showed promise were given an extraordinary musical foundation. Even though hundreds of girls lived in the Pieta', only forty to sixty were in the orchestra. By the eighteenth century, the reputation of this all-female ensemble had spread through Europe and attracted visitors from all over the Continent, thus improving the revenue at the Pieta'. The Ospedale della Pieta' still operates today as a non-profit agency that provides early childhood education and assists children and mothers in crisis situations. Vivaldi was called "Il Prete Rosso," The Red Priest. 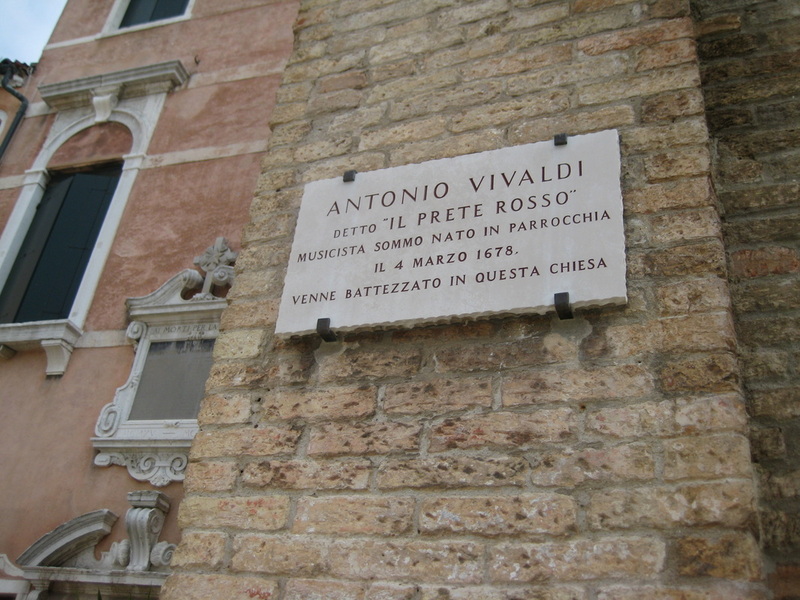 The best-known teacher associated with the Pieta' was Antonio Vivaldi, born in 1678. At the age of twenty-five, he was ordained a Catholic priest and joined the staff of the Pieta' as "master of violin." He worked on and off there from 1703 until 1740, rising to the rank of concertmaster. During his time with the Pieta', he wrote countless compositions that featured the young musicians at sacred liturgies or Sunday afternoon concerts. Vivaldi suffered some sort of breathing affliction from infancy, and fits of coughing drove him away from the altar when celebrating Mass early on. Some have suggested that he might have been allergic to the incense. This is the gondola landing at the side of the Metropole Hotel.